We all know that exercise is good for our overall health and wellness, but do you know that it can also beautify? Sure, it’s easy to slap some moisturizer on your face or protect it with SPF, but strengthening the muscle arrangements and circulation in your face and body can also be instrumental in making you prettier from the inside out. To help promote an even lovelier you, we found four exercises that can help you work on your fitness and your beauty! This will boost the supply of oxygen-rich blood to the face. Enhanced blood circulation helps to correct wrinkles and tighten facial muscles (yes please!). Stay in this position for as long as you can and incorporate it into your daily routine. 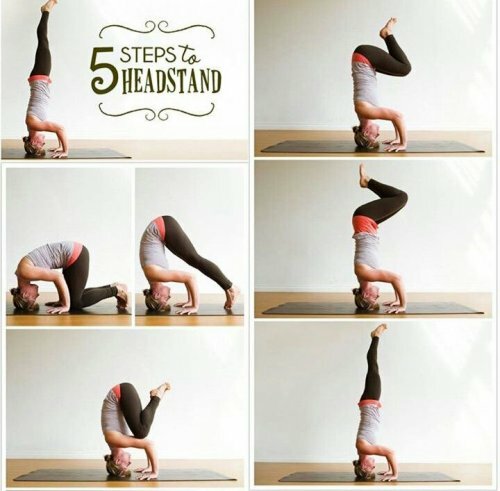 If you can’t do a headstand, lie upside down on your couch, bed or a sturdy chair and gently let your head hang down. This will have the same positive circulatory effects on your skin (and save you a balancing act). Step up the antiaging ante by applying a serum like Lancôme Advanced Génefique after your headstand sesh. Give those wrinkles a run for their money! 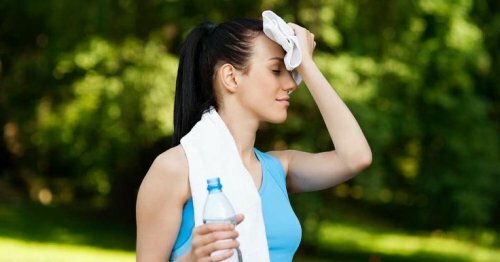 Sweating helps to cleanse the skin’s pores, especially those in the face. But wait: anaerobic exercise — that is, stop-and-start exercises such as weightlifting that don’t keep your heart rate steady in its target zone — doesn’t work up a continuous, heart-pumping sweat. Focus more on aerobic exercise, such as swimming, running, playing tennis, walking or other activities that keep your heart rate in its target range for at least 20 minutes. The resulting endorphin rush will give your skin a healthy blush and glow that will last for hours and do both your body and face good! I have been diagnosed with Lupus and rhuematoid arthritis, I have chronic fatigue that’s so bad that I can’t get through my day’s anymore.The weird thing is that even though I have fatigue, I can’t sleep at night at all. I feel like a zombie. My 8 year old son has been diagnosed with turrets syndrome and ADHD and he has been going through so much and he’s just now starting to get better, but my heart aches for him because he wants me to go outside and play soccer like we used to and I literally have no energy to do that anymore. When the boys leave for school I just break down and cry, sometimes for hours. I have alot of workout equipment which I use to use every day, I still get on and try but I can’t finish. I grew up in a military home, I was a tomboy growing up, I played soccer, tennis, I wanted to play hockey but my mom wouldn’t let me because she said I would get my teeth knocked out. But bottom line I need someone to help me immediately because I can’t go on like this. Please help me.